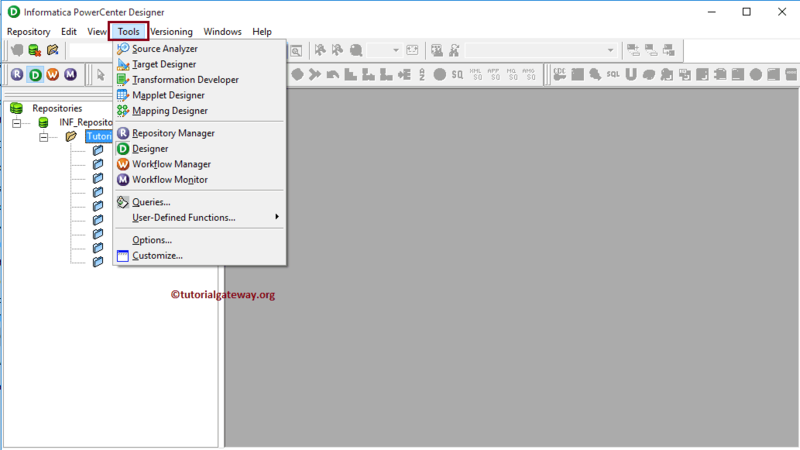 In order to connect with the Informatica Repository service, we have to provide the Informatica Admin Console credentials. So, Please provide the appropriate Username and Password and click on Connect button as shown below. Once you connected successfully, Please navigate to Tools menu in Menu Bar. 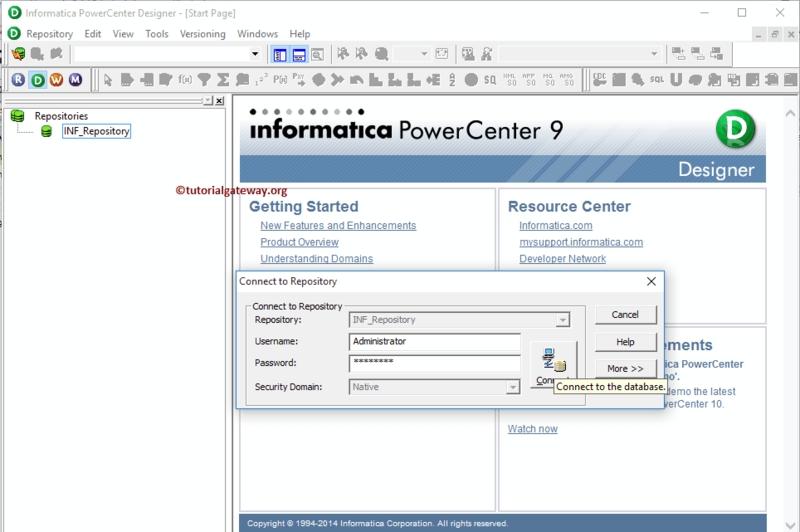 Following screenshot will show the list of available tools inside the Informatica PowerCenter Designer. 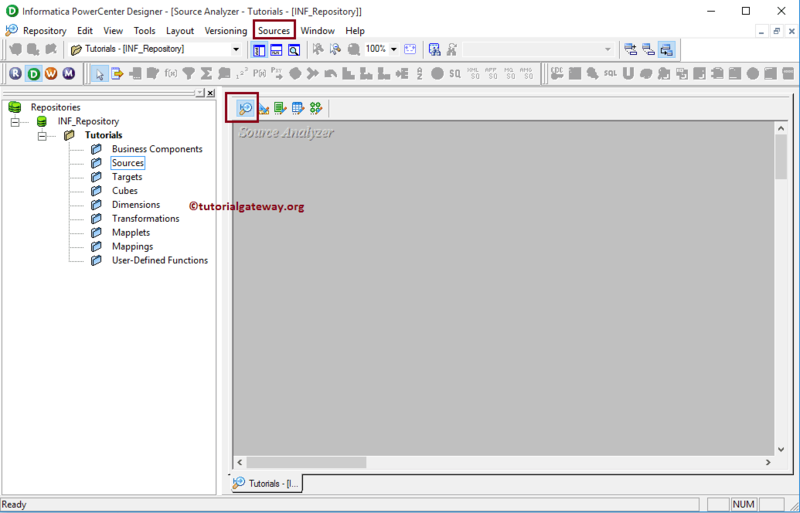 In this article we are explaining about the informatica Source Analyzer so please select the Source Analyzer option. Once you select the Source Analyzer option, we will be in the Source Analyzer screen. TIP: Source Menu in the Menu bar will be available only when you are in the Source Analyzer section otherwise, it will be hidden. 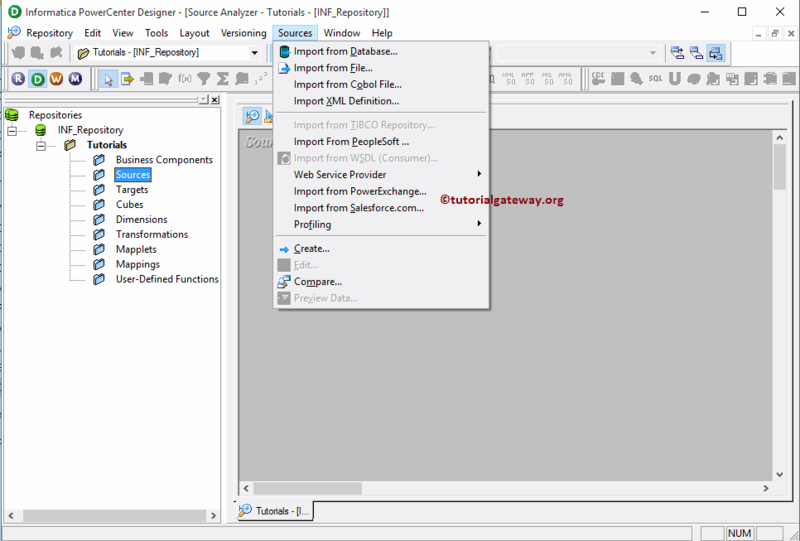 Import from Database: This option allows us to import source data from the relational database. Informatica PowerCenter supports various relational databases such as Microsoft SQL Server, Oracle, SAP HANA, Sybase, Teradata etc. Import from File: This option allows us to import source data from flat files which are separated by Delimiter or fixed width. Import from COBOL File: This option allows us to import source data from COBOL files. Import from PeopleSoft: This option allows us to import source data from peoplesoft. Create: This option allows us to create our own data source from scratch.